I think a visit to IKEA is in order. 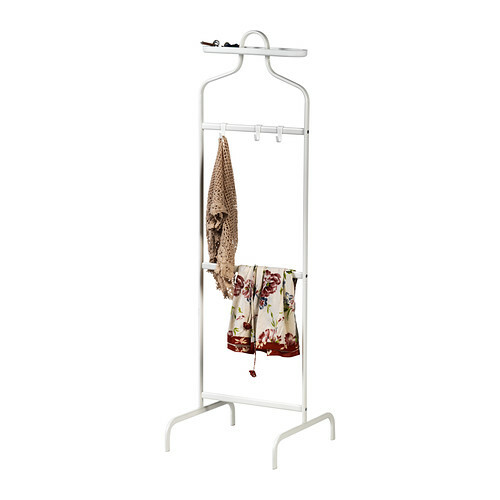 I really need one of these valet stands as I usually throw my clothes / bags / scarves on the floor. 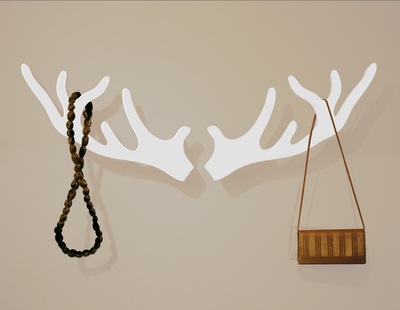 And if you feel like adding a bit of flair the IKEA blog suggests adding some string. 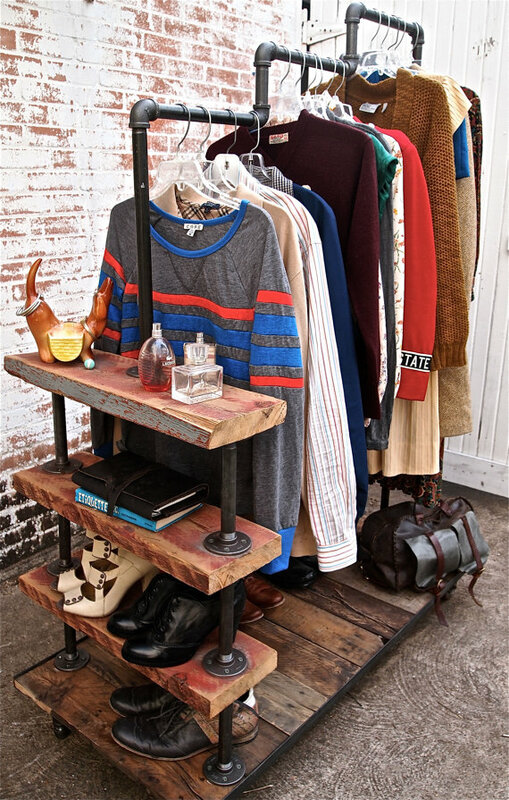 If you live in a loft / warehouse and reside in the states (I am really getting sick of you people) you can buy the above rack from here. The pink palace, aka our apartment, only has a built-in robe in the second bedroom which is fine for now but if a visitor was to stay I think the rolling rack below would come in handy. 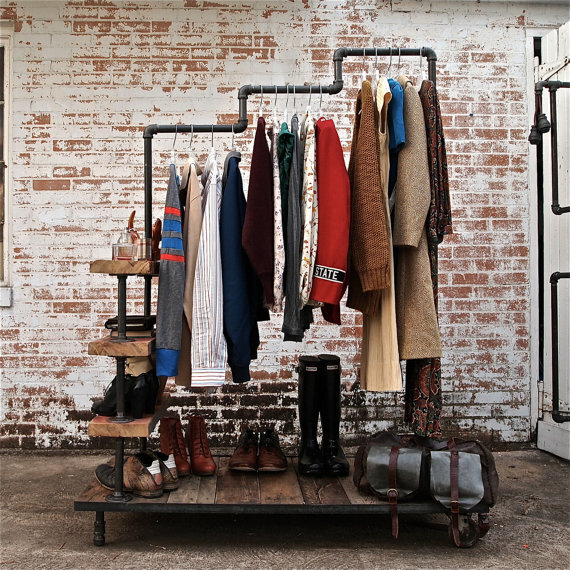 Also I like the idea of using the rolling rack to display your good outfits and favourite shoes. 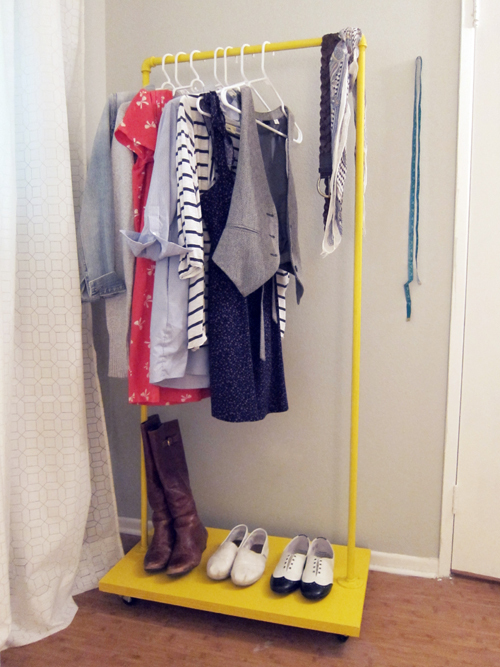 TIP: insert a broom stick or dowel through the top pipe so you can hang heavy items without bending the pipe. 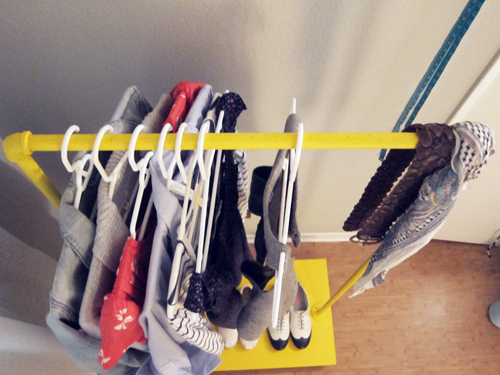 Thanks for Heather for this DIY project! Until Ikea finally open the doors to their Dublin store! 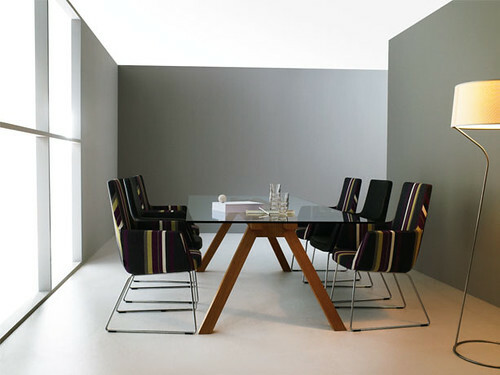 I apologise now but I will probably be posting my ever expanding Ikea wish list for the next seven weeks. And hopefully I can narrow it down by the time Ikea opens. 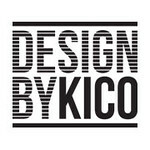 Last weekend I attended the Design and Art Fair in the RDS, Dublin. 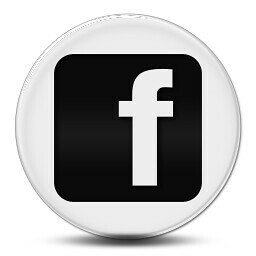 I would post pics but that is another story. Anyway I dropped by the Duff Tisdall stand to try out the Swedese Happy High Rocking Chair. Very comfortable indeed especially after you have been walking around for awhile! And it was in a gorgeous bright green which the sales rep told me went perfectly with my purple dress. I was almost tempted. Here is a pic from the Swedese site. Unfortunately they don’t have a picture of the swing chair in green. But see the office version below. 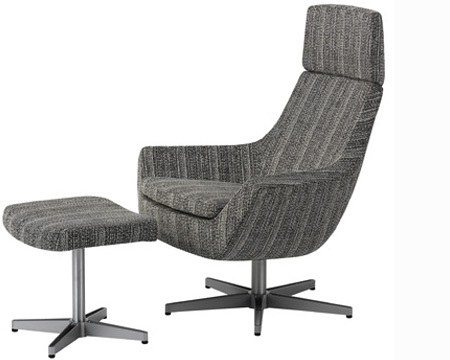 And the rest of the Happy chair range looks just as stylish and most of all, comfortable. I would definitely be happy to own any one of them. 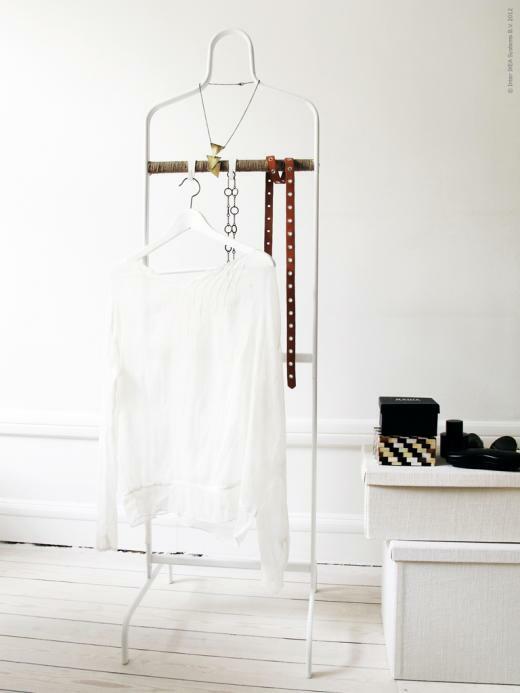 And oh how i would absolutely love to own a Swedese Tree Coat rack! They look even more amazing in the flesh! 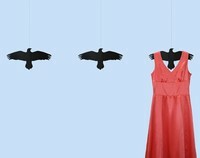 Great for hanging that special dress or coat and great on its own. 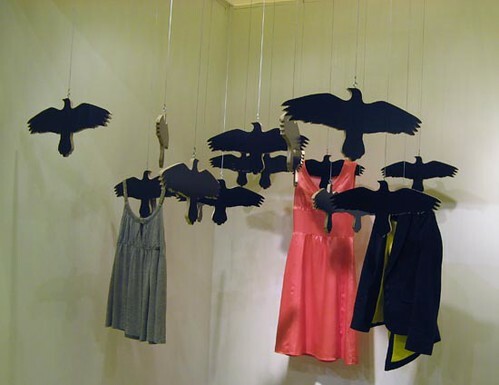 This Raven coat hanger is mounted from the ceiling but there are also two other versions with the standard coat hanger hook and one for trousers. 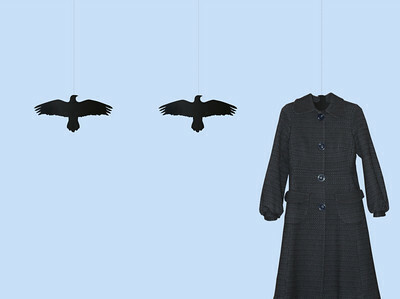 The Raven coat hanger was designed by graphic designer Ingibjorg Hanna from Iceland.